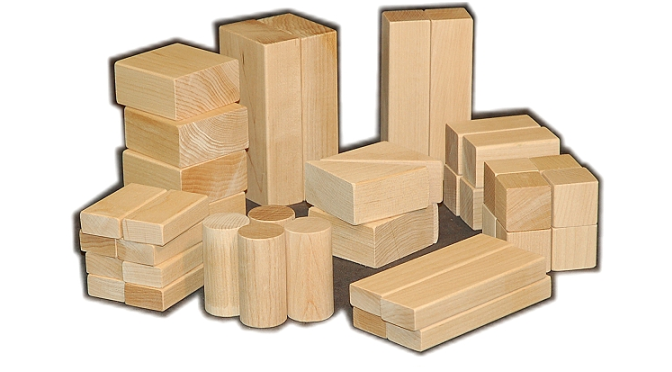 Buy maple blocks made in the United States from FAS quality, knot free Michigan and Indiana maple hardwood. Blocks are rounded on the long edges and sanded and softened on the ends and corners. Tolerances are within .01 inches. All shapes are a fraction of the standard unit block of 1-3/8 by 2-3/4 by 5-1/2 inches, the generally accepted standard for schools, preschools, and kindergartens. The more children actively participate in their own education, the more they get out of it.